Unfinished. Chan Kinchla and John Popper among other guests (including Jimmy Herring, Matt Mundy, Todd Park Mohr, and other members of Aquarium Rescue Unit and Big Head Todd & the Monsters). This single-set performance was part of the H.O.R.D.E. Festival that also featured Allgood, Aquarium Rescue Unit, Big Head Todd & the Monsters, Blues Traveler, The Samples, and Widespread Panic. YEM was unfinished and featured Chan Kinchla and John Popper among other guests (including Jimmy Herring, Matt Mundy, Todd Park Mohr, and other members of ARU and Big Head Todd). Popper was offstage playing the harmonica while an effigy of Popper was lowered to the stage in a wheelchair. As part of the gag, the cord snapped and sent the effigy tumbling to the stage through the trampoline! Rating this higher than it probably deserves because it is a unique show in format. Also, this venue provided a flavor for the larger sized amphitheaters the band would come to fill with energy in the years ahead, so it was a nice tease. It was also nice to see so many people who might have been hearing Phish for the first time. That in itself is like a sociological study. Stash had signature moments, and YEM (for the previously curious attendee, yes, Trey and Mike did hit the trampolines) was a crowd pleaser, but the Popper thing took it from a concert to a comedy show...in a fun way. One other factoid, that evening, Corin Capshaw who was a lesser known music producer who owned (or maybe just managed) the Flood Zone in downtown Richmond had flyers circulated in the parking lot re: a post show concert featuring The Dave Matthews Band. Mind you, this is when they hadn't released an album, when they still occasionally had a piano player in the band (Peter Griesar, who quit the band a few months later) and after hitching a ride to the venue, I there was amongst small attendance...probably 50-75 people. Among them was Mike Gordon who stayed upstairs in a area that was held for Corin and his friends/crew. Oteil Burbage from the Aquarium Rescue Unit joined DMB on stage, and played a memorable version of #42. While I've had little to no interest in the DMB since '95 when the music started to slide downhill, that song from that show is as good as I ever heard them improvise. 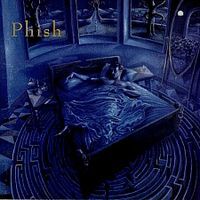 As for Phish's performance, again, it was memorable because it was unique in it's format, not because of the song selection or performance. The early mainstage sets were highlighted by the only full-lineup (including Count Mbutu but not Jeff Mosier) Col. Bruce Hampton & The Aquarium Rescue Unit set I would ever see. I knew their live album well, and would leave that day with their new studio album. Unbelievable musicians. Big Head Todd's "Bittersweet" was ubiquitous on the radio that summer, and the ladies swooned for that one. The Samples flew right over my head, so I wandered during their set (found that ARU album). I think it was then that I waited in line for a lemonade behind the hulk of a man that was Blues Traveler's Chan Kinchla, though I didn't realize it until later because he had cut his long hair, plus I had no idea he was so big up close. This was my fourth or fifth time seeing Blues Traveler, and though I of course didn't realize it at the time, the last for eight years. Seems another band was destined to take up more of my live music attention. Their set was the expected and by then familiar jam- and segue-filled tightness, but after having seen them in smaller clubs, I felt a little disconnected halfway back in the 3/4-filled pavilion. As darkness set in, the southern crowd got pretty excited for Panic, and though I was familiar with the "Space Wrangler" album, they were for me simply the band between Traveler and the highly-anticipated Phish. The boys opened their single set with 2001, the new standard 2nd set opener for that summer, even though I didn't know that at the time. In fact, I was so geeked out that I was finally seeing my new favorite band and they were playing something I wasn't familiar with, I actually somehow didn't even recognize the Strauss theme. It was just a funky little instrumental intro tune to me, much more faithful at the time to the Deodato arrangement they were actually covering. Being a first show, I was happy with whatever I got, but looking back in jaded vet mode, I'm sure somewhere in my subconscious I was thinking that there were four tunes I would have rather heard than the next four to follow. This is not to say they weren't great renditions. The boys were the ridiculously tight, well-oiled machine by this point in their careers (though Trey did ripcord into Rift a bit, catching Fish off guard). Stash was a healthy ten minutes, with a bit of the signature Trey-led full-band dissonant exploration of the time. Coil was played with an expert ease of familiarity and had the extended Page solo that we would come to expect from set-closing and encore renditions in the future, and here was this right in the middle of this one. Perhaps it was their way of breaking up this single-set appearance. It's Ice featured the set's first truly Phishy stage antics, though obviously there would be much more to come. I wrote about this on the song's history page too, but I distinctly remember that during Page's solo in the middle when the only accompaniment was Fish on wood block, Trey and Mike stepped back onto "As Seen on TV" lateral gliding exercise contraptions, gliding back and forth in time with Fish. They evoked not only the obvious ice skating of the song's lyrical content but also the pendulums of a grandfather clock. After It's Ice wrapped up, Mike took a brief solo that I excitedly thought could lead anywhere. Turns out it was just a time-saving substitute for a full HYHU intro. 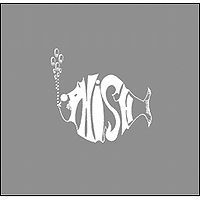 I'd heard tale of Fish playing the vacuum, but other than a previous summer's HORDE set where he played it during the intro of a Bowie, I don't think I'd procured any sets with one of his featured tunes. Imagine my surprise when not only would I get a Fish tune next, but the Prince smash Purple Rain, another (unbeknownst to me) new addition to the Henrietta repertoire. Even though it was an enormously popular hit in the '80s, I was still very surprised to look around and see sections of the crowd joyously singing along word for word. Those would obviously be the tour kids, having already seen this five times in the last two weeks. It would take me a few years to get to that status, but I remember feeling vaguely jealous of being on the outside looking in of that community in-joke. 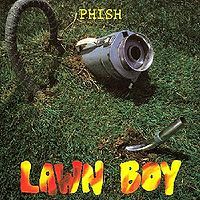 I can't remember if in the hilarious novelty of seeing Fish belt out this ballad and play the vacuum, I made a point of noting that Trey was pretty damn able behind a drum kit. I was of course psyched to get a YEM at my first show, and one that promised to be special since Trey noted beforehand that guests would be coming out. You'd think I'd remember something like seeing Mike and Trey do their tramp routine, but I can't remember if they did or not, considering the stunt that was to come. Listening back, it sounds like Mike plays a lot more notes than he normally does during that section, so I'm thinking maybe not. The other reviewer here noted that the guest-filled jam doesn't really come across on tape, and it didn't really hit that hard at the show either. It was much more about the spectacle of the stage filling up with guests and the stunt to follow. Besides those specifically noted above, I know there was at least one person (probably the Monster keyboardist) behind Page's rig with him. They probably served primarily as misdirection so Popper (wheelchair-bound from a motorcycle accident) could wheel back off stage unnoticed, but still blowing all the while. In later years, I'd spend much more time dancing in hallways and corridors than paying attention to what was visually going on onstage, but this night I happened to notice Popper make his exit, and I had definitely noticed earlier the conventional-sized trampoline behind the band setup. With all due respect to the guys at phish.net, I think "effigy" is a bit of a misnomer since I definitely think the intent was to have the crowd believe it was actually him as he was lowered, wheelchair and all, over the big tramp. I guess it was fairly obvious it wasn't, but it was still a fun gag, especially with the cord coming loose just as the band hit the last chord. I'm sure at least a few people's hearts caught momentarily in their throats as they saw the virtuoso harpist plummet 20 feet down into a springless tramp (acting more as a fireman's catch). Being familiar with Popper's sense of humor, I ate it up as he repeatedly called out to everyone leaving the stage for "a little help" getting out of the tramp. I think he may have even made a Bobcat Goldthwait in Police Academy reference, saying "That didn't hurt." Kudos if you've read this far, but considering it was a one-set festival show, I thought I was pretty lucky for a first show, getting early renditions of 2001 and Purple Rain, and some uncommon yet distinctly Phishy stage antics first in It's Ice, then on a much larger scale in the memorable albeit musically jumbled YEM. It would be almost a full year before my next show, which would come as a junior counselor group day off from my aforementioned summer camp, ironically enough. And it was SOOO worth the wait: Sugarbush '94. In May '92, my brother and I were big Blues Traveler fans. 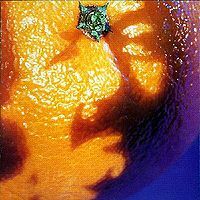 So when our favorite magazine, Rolling Stone, published a very entertaining article about them putting together a summer touring festival with a bunch of their favorite and like-minded bands, my brother immediately went out and bought The Spin Doctor's "Pocket Full of Kryptonite," ARU's live self-titled, Widespread Panic's "Space Wrangler," and most fatefully, Phish's "Picture of Nectar." The drums>guitar intro to Llama blew me away, as did the rest of the song. That first listen, the fact that in five songs they'd played five different kinds of music (Hendrix-y rock, instrumental lullaby, funk, bluegrassy country, and calypso jazz jam) had me sold. In a sad sign of the times, it would be months before I finally got around to dubbing a copy from my brother because it didn't fit onto one side of a 90-minute tape, and I didn't want to cut any songs nor use a whole tape for one album (being unfamiliar with the concept of filler at the tender age of 15). 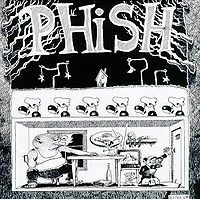 I was at summer camp for the first HORDE, but by the next summer I was well-versed in Phish's four albums (Rift coming out that winter) and even had a handful of tapes, comprising mostly disconnected sets, I think. So I was amped to see that one of the three HORDE dates that Phish was on that summer was at the Classic Amphitheater in Richmond, a mere hour and change away. Thank Something I decided to take a year off from camp. I caught a ride from my brother's friend. He being 19 with more live music experience, he played me the live disc that local guitar wizard Gibb Droll had just put out. I enjoyed it, though I might have enjoyed it more if Peanut had just let me listen to it rather than telling me every two measures what Gibb was doing on the guitar. I only mention this because as an unexpected bonus, The Gibb Droll Band played on a small side stage on the concourse in between almost every mainstage act. I caught every set and was utterly blown away by Gibb's SRV-style shredding, not to mention the bashing and pounding of Mike Williams, the large black man known as "Chocolate Thunder" dwarfing his drum kit. I would see Peanut at these sets, but felt no compunction to hang with him for the rest of the day, so this was for all intents and purposes a solo venture for me. NOTE: For those that care to read my incredibly long review of my first show, the first half (!) is down below. The second half is the one that starts with "The highlights of the mainstage..."
THE GOOD: This is a short HORDE tour show and there's not much in here, save for the rowdiness in YEM. John Popper guests, playing along in the jam, and he is quite prominent in the mix, and for fans of guest musicians, I guess that it is interesting. Honestly, though, this jam doesn't translate onto tape. THE BAD: This is very likely the weakest of the entire summer tour, mainly because it is a one-set show, but also because the band plays the show extremely safely, with no experimentation. The Stash just pales in comparison to the previous two shows' versions, and YEM, while it does have about 4 minutes worth of guests playing, is just a big cacophonous racket with no direction. Even Coil, a song I default to, is somewhat lackluster here. ETC: There's the stunt mentioned in the liner notes which actually does show up a slight bit on tape (you can hear the audience cheer). Also, if you listen carefully, you can distinctly hear the audience clapping to Stash, somewhat earlier than when the band picked up on the trend. No teases, though; the band clearly wasn't playing to their usual fan base for this one.